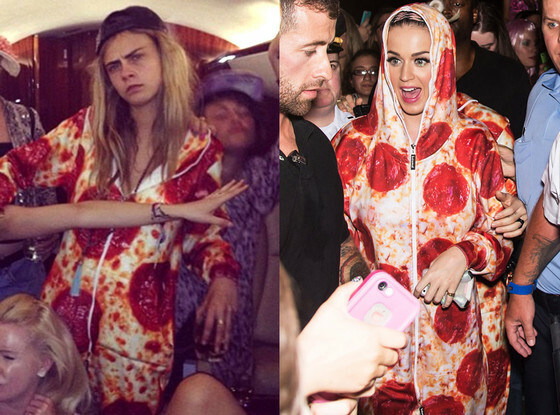 Cara Delevingne Steps Out in the Exact Same Pizza Jumpsuit Katy Perry Wore. Who wore it better? Katy Perry and Cara Delevingne and are pepperoni twins! What does that mean, exactly? Well, let us elaborate. The two stars have been spotted wearing the exact same pizza jumpsuit within a week. It’s official. We have ourselves a pizza showdown. Cara D. wrapped up her 22nd birthday celebrations in Ibiza and headed back to London wearing a zip-up pepperoni onesie, apparently the hottest new fashion trend. Cara’s cheesy jumpsuit is identical to the pizza jumpsuit Katy Perry wore to the Philadelphia Museum of Art last week. Chelsea Handler Shares Nearly Naked Pic, Says “I’m A Kardashian” — SEE PHOTO! Chelsea Handler stripped down to her thong underwear for a nearly naked photo she shared Thursday on Instagram. In the snapshot, the late-night host is sitting on top of a folded white towel on a wooden bench in a locker room. Handler’s final episode of “Chelsea Lately” will air live on August 26 with a performance from her ex-boyfriend 50 Cent and appearances from A-list pals. 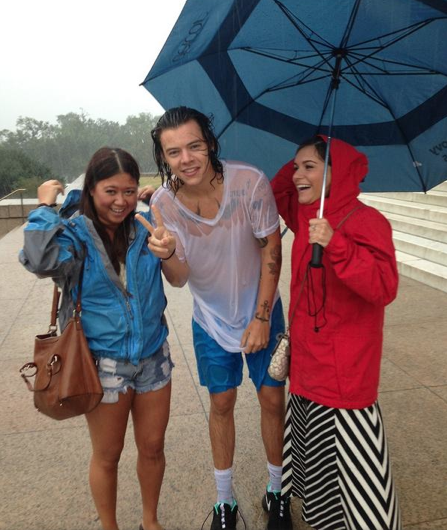 Harry Styles Gets Wet and Wild in Washington D.C.
Harry Styles flaunted his chest tattoos in a soaking wet white T-shirt while he posed with fans during a torrential downpour in Washington D.C. The One Direction singer was visiting the Lincoln Memorial on Tuesday when he found himself caught in a rain storm without an umbrella. Despite being completely drenched, the pop star happily took a photo with two girls who were also visiting the memorial. 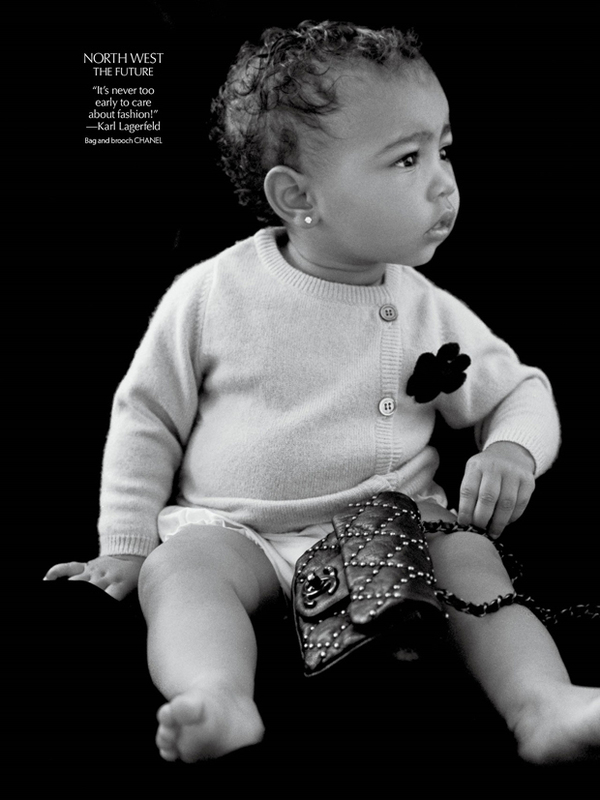 North West Makes Modeling Debut In Chanel — SEE PHOTO! North West has made her high-fashion modeling debut. On Thursday, Kim Kardashian shared her 14-month-old daughter’s black-and-white photo by Michael Avedon from the fall issue of CR Fashion Book. In the embeddable Instagram shot ( see above ), West is seen wearing a Chanel brooch and accessorizing with a miniature Chanel bag. 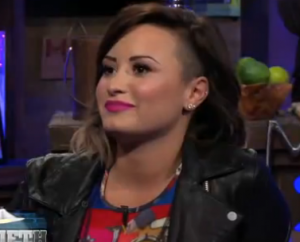 Why did Demi Lovato unfollow Selena Gomez on Twitter? After initially trying to “plead the fifth” (but she couldn’t, since she’d already burned her pass on a question about scandalous Disney Channel behavior), the performer gave a very interesting response. Justin Bieber posted — and then deleted — a new photo of himself with Selena Gomez on Thursday. In the pic, taken at a movie theater earlier this week, Bieber is carrying Gomez as she kisses him on the check. “Right now everything else is a blur,” Bieber captioned the pic. The posting came after a few fans claimed to spot them together, with Bieber’s pic now confirming the initial blurry fan photos. 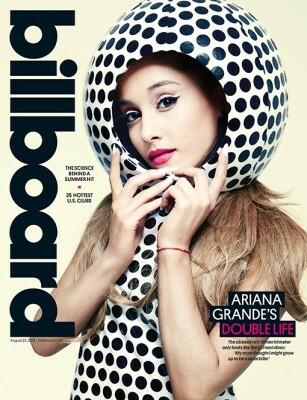 Ariana Grande opens up about family, fame and freakiness in a new Billboard cover story. “I think people see me as a little cutesy thing, but I’m literally the most sardonic person you’ve ever met,” she tells the magazine. It all started when she was “a very weird little girl.” Wow.